I’d always assumed that as Tracert uses ICMP, and that simply adding ICMP inspection on the ASA would let Tracert commands work. 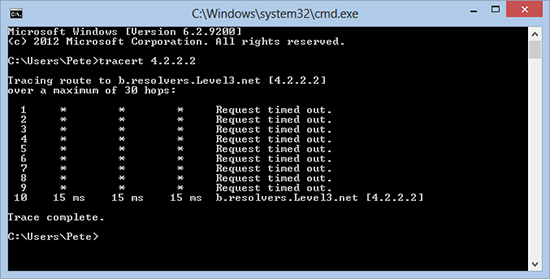 A client of mine is having some comms problems and wanted to test comms from his remote DR site, he had enabled time-exceeded and unreachable on the ASA (for inbound traffic) and that had worked. I checked the default inspection map and found inspect ICMP was there? As it turns out Tracert does NOT NEED ICMP inspection, though there are a few tweaks you need to do to make it run correctly. 1. 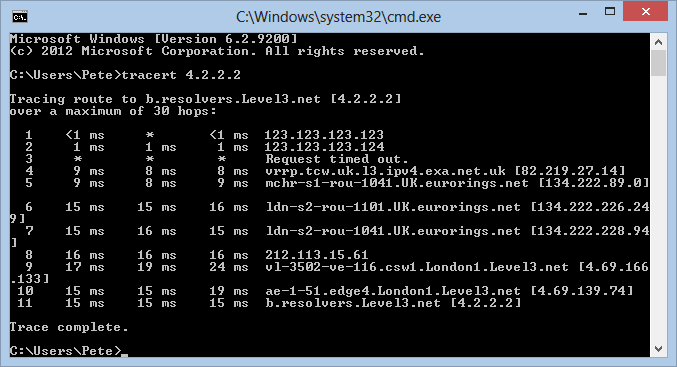 From a Windows client if I try and Tracert to an external IP address, this is what I would see. 3. Now when we re-run our Tracert we see the ASA now responds, nothing else does though, to rectify that we need to allow IN some ICMP traffic. Then: Only carry out the following command if you DO NOT HAVE an ACL applied for incoming traffic. 6. Try your Tracert again. 7. Don’t forget to save the changes on the ASA.